Mara Justine competes for American Idol Top 14 spot. Matt O'Donnell reports during Action News Mornings on April 16, 2018. Twelve of the remaining contestants on American Idol belted it out Sunday night hoping to get a spot in the Top 14. That includes Galloway Township native Mara Justine who wowed the judges with her performance of "Run To You" by Whitney Houston. Mara brought all the judges to their feet. The judges praised her for scaling back her hair flips, which drew earlier criticism from judge Katy Perry. 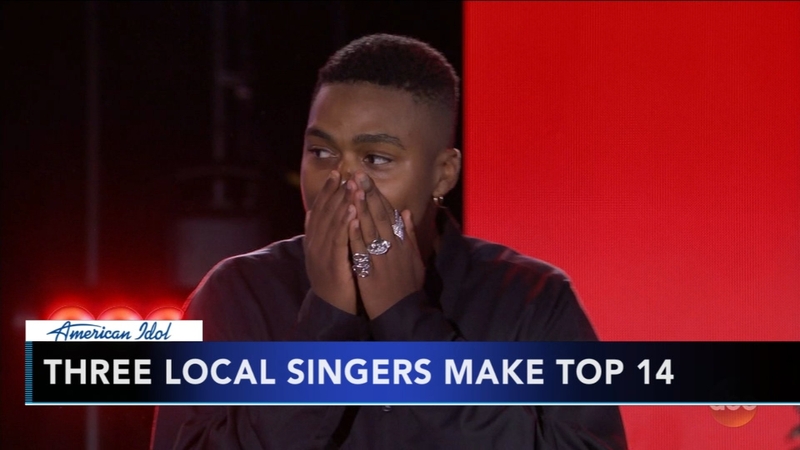 3 local contestants make Idol Top 14. Matt O'Donnell reports during Action News Mornings on April 10, 2018. We will find out Monday night if Mara will join the other local contestants, Michael J. Woodard, Catie Turner, and Dennis Lorenzo. American Idol contestants teamed up with professional singers this week. Watch American Idol on 6abc at 8 p.m. for another round of celebrity duets.